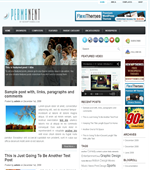 Fashion Style is a stylish design free premium WordPress theme. Suitable for any niche especially for fashion and entertainment web sites. Options page at admin panel. 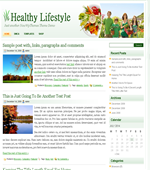 Features include Admin Options, Featured Video, Featured Content, 468×60 header Banner ready, Gravatar on Comments, Compatible with latest WordPress versions, Widgets Ready, SEO Optimized, Logo .PSD file and font files included in theme folder, compatible with all major browsers: IE, FF, Safari.